On Thursday, the Senate Appropriations Committee will vote again on the Mikulski Amendment to the Commerce, Justice, and Science (CJS) Appropriations bill. The amendment protects medical cannabis programs and patients. We ask you to take action and write your senators on the committee to vote YES on the Mikulski medical cannabis amendment. The CJS Appropriations bill funds the Department of Justice, including federal prosecutors and the DEA. The Mikulski Amendment is the Senate version of the Rohrabacher-Farr Amendment, which prohibits the Department of Justice (DOJ) from interfering with people abiding by their state medical cannabis laws. Last year, the committee approved the amendment by a vote of 21-9 but it needs to be passed yearly. It’s time to get registered for the biggest medical cannabis lobby day in California! ASA will host our 5th annual California Citizen Lobby Day in Sacramento on Monday, May 23. This is your chance to join 300 other patients and advocates to talk face-to-face with lawmakers and regulators about medical cannabis in California. Click here to register for the California Citizen Lobby Day on Monday, May 23, and ASA will make an appointment for you at your State Assembly and Senate offices. We are excited to announce some very special guest speakers from the new Bureau of Medical Marijuana Regulation this year. Chief Lori Ajax and Senior Policy Advisor An-Chi Tsou will be at our morning briefing to talk about the Medical Marijuana Regulation and Safety Act (MMRSA) and what comes next for commercial medical cannabis regulation in the state. ASA California Director Don Duncan testified in support of AB 1575, a bill that will make important changes to the Medical Marijuana Regulation and Safety Act. ASA California Director Don Duncan testified in support of AB 2516, a bill that will create a new “cottage cultivation” license for smaller-scale medical cannabis cultivators. ASA will testify in opposition to statewide taxes on medical cannabis consumption and cultivation. Registration is now open for ASA’s California Citizen Lobby Day, May 23, 2016, in Sacramento, CA. On Sunday afternoon, Pennsylvania Governor Tom Wolf signed SB 3, making Pennsylvania the 24th medical cannabis state in the country. And with 17 other states offering legal protections for low-THC medical cannabis, there are now 300 million Americans living where their state law is at odds with federal law. The addition of PA as a medical cannabis state will no doubt help the federal picture, but for Pennsylvanian patients who need access to this medicine, the focus now shifts to implementation of the program. ASA has observed that it typically takes a state anywhere between 18 and 36 months to get their medical cannabis program up and running once their law goes into effect. The challenge for advocates and state officials will be to make sure the program is implemented as swiftly as possible, but without cutting corners or rushing overly-cautious regulations that may harm patient access. There are essentially three phases that a new medical cannabis state goes through when implementing a new program, (1) drafting regulations; (2) licensing cultivators, processors, labs, and dispensaries; (3) and registering patients and caregivers. To accomplish the first stage, ASA recommends that Pennsylvania looks to the American Herbal Products Association's guidelines for cannabis regulators. States such as Maryland, Nevada, and many others have used these guidelines to draft excellent regulations that ensure product safety. ASA plans to be actively involved with the process to help generate the most patient-focused set of regulations possible. On Wednesday, the Pennsylvania Senate approved the final version of SB 3, nearly a year after the Senate passed its original version of the bill. The bill introduced by Senators Mike Folmer (R-Lebanon) and Daylin Leach (D-King of Prussia) is widely expected to be signed by Governor Tom Wolf, which will make Pennsylvania the 24th state in the country to adopt a comprehensive medical cannabis program. The bill underwent a tortured ordeal to get to a floor vote on the House side, particularly from Health Committee Chair Matt Baker (R-Tioga County) who attempted to the kill the bill until a rarely utilized procedural move stripped the bill from his committee. Recently, the bill had several amendment votes prior to making to the floor, which are well covered by the Daily Chronic. The most notable of these was the successful removal of a 10% THC cap, which would have severely limited treatment options for patients in need of THC-rich products, such as pain and cancer patients. On Thursday, the U.S. Senate Appropriations Committee will vote on the Veterans Equal Access Amendment as part of the full committee markup of the MilCon-VA Appropriations Bill. The amendment will be reintroduced by Senators Jeff Merkley (D-OR) and Steve Daines (R-MT) and would allow VHA physicians to make written recommendations to veteran patients in states with medical cannabis programs. Current VHA policy forbids their physicians from recommending or even discussing the benefits of medical cannabis. Last year, the Senate Appropriations Committee voted to include the amendment with solid bipartisan support, as 4 Republicans joined 14 Democrats. We need to make sure that everyone who voted for the amendment last year votes does so again, as well as work to pick up additional votes in favor of the amendment. A stronger showing of bipartisan support for the amendment will help increase the chances of pass of the CARERS Act, which would permanently resolved the issue preventing veterans from having equal access to state medical cannabis programs. If you live in a state with a member on the Senate Appropriations Committee, please take action to email your senator to vote yes on the Daines-Merkley Veterans Equal Access Amendment. You can find out if you live in a state with a senator on the committee on the alert page. Email your Senators today to vote YES on Veterans Equal Access Amendment! When the United Nations General Assembly Special Session (UNGASS) convenes in New York next Tuesday, delegates will be discussing global drug policy – including what to do about medical cannabis. This is a historic meeting, and the ramifications for national and international medical cannabis policy could be huge. ASA would like to provide every delegate from the 180 nations represented with a groundbreaking report we prepared this year for the UN Commission on Narcotic Drugs. The 91-page report, which was peer-reviewed at our annual conference in March, answers important scientific questions about medical cannabis, and outlines a pathway towards international reform. Pictured: ASA Executive Director Steph Sherer and an international delegation from France, the Czech Republic, the Netherlands, and Jamaica delivering the report to the UNCND in March. Help out by donating this week to get this report to every delegate at the UNGASS meeting. Our goal is to raise $5,000 to make it happen before next Tuesday! One the final day of session in 2016 for the Maryland General Assembly, the Senate approved HB 104 by a vote of 36-10. The bill expands the number of licensed health care providers who may recommend cannabis therapy to their patients under the Maryland Natalie M. LaPrade Maryland Medical Cannabis Commission program. The bill would still been to be signed by Governor Larry Hogan (R), and while he has generally supported medical cannabis legislation in the past, he has not weighed in yet on this bill. Under the original version of the law, only those with licenses in good standing from the Maryland State Board of Physicians were eligible. 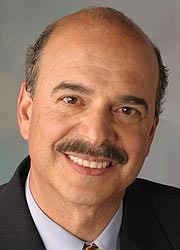 Introduced by the only physician in the Maryland General Assembly, Dan Morhaim (D - Stevenson), the bill changes the term to from "certifying physician” to "certifying provider," and extends eligibility to licensed dentists, podiatrists, nurse practitioners, and nurse midwifes who are in good standing with their respective state licensing agency. Like physicians, each provider would have to submit a treatment plan proposal to the Commission that must be approved before they can make written certifications under the program. Register now for ASA’s California Citizen Lobby Day on Monday, May 23, 2016. This is the largest medical cannabis lobby day in Sacramento, and your chance to shape the future of medical cannabis in the state. Be a part of it! Met with lawmakers and staff in Los Angeles to promote local licensing for medical cannabis business. Testified in opposition to bills that would impose additional taxes on medical cannabis consumption and cultivation. Participated in the Mendocino Cannabis Resource Conference in Willits, CA. ASA will be supporting bills that improve the Medical Marijuana Regulation and Safety Act.